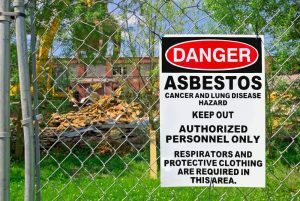 Orange County Asbestos Abatement for Homes and Businesses | Tri Span Inc.
Suspecting you may have asbestos building materials in your Orange County home or business can be an unsettling feeling. Fortunately, professional asbestos abatement services are available in Southern California, delivered by a company with years of local experience in hazardous materials identification and mitigation. Asbestos abatement in Orange County is not always costly or complex. The asbestos experts at Tri Span Inc. have the experience, certification, and skilled workforce to find out if asbestos is present and then develop the best asbestos abatement solution for your location if this hazardous material is present. The first step in asbestos abatement is an on-site assessment of the property by a certified specialist with the training and knowledge for finding asbestos and accurately identifying both the location and the type of asbestos on the property. After a complete inspection of the property is finished, samples of materials collected from walls, ceilings, floors, heating ducts, roofing, or any other suspected sources of asbestos are sent to a certified lab for analysis. Not all types of asbestos are the same, and the best way of treating asbestos depends on the exact analysis of the material as well as where it is located in the building and what kind of building material it is incorporated into; roofing, flooring, plaster, etc. Once the scope of the problem has been determined, a cost-effective solution is developed for the asbestos abatement for that specific Orange County property. Asbestos must sometimes be physically removed from the building in order to render the building safe. However, it is also often possible to successfully mitigate the problem by encasing the asbestos in another, non-hazardous material, avoiding the costs of removal and disposal, yet preventing the asbestos from causing any harm to people in the building. Tri Span Inc. is the leading specialist in asbestos abatement in the greater Los Angeles area, including Orange County, with services uniquely concentrated on all types of hazardous materials removal and management, including asbestos. If you suspect asbestos in your Orange County home or business, contact Tri Span Inc. for fast, cost-effective asbestos abatement solutions.